Landmines and explosive remnants of war continue to spell disaster for people even decades after a conflict ends. Hence every year, April 4 is celebrated as the International Day for Mine Awareness in order to spread awareness about the dangers and threats caused by landmines to the safety, health and lives of civilian population. The day also encourages all governments to develop mine clearing programmes. On this occasion, we bring to you a few facts about International Day for Mine Awareness. On December 8, 2005, the UN General Assembly declared April 4 as International Day for Mine Awareness and Assistance in Mine Action. It was first observed on April 4, 2006. On this day all nations are called upon to foster the development of national mine-action in countries where mines and explosive remnants of war constitute a serious threat to the safety, health and lives of the civilian population, or as an obstacle to social and economic development. The International Mine Awareness theme this year is “United Nations promotes SDGs – Safe Ground Safe Home”. Landmines and unexploded bombs sometimes remain inside the ground surfaces decades after a conflict or war has ended. Every day, 20 people are killed or injured by these indiscriminate weapons. Hence this day is observed to raise awareness of the threat caused by landmines to the safety, health and lives of civilian populations, and encourages governments to develop mine clearing programmes. 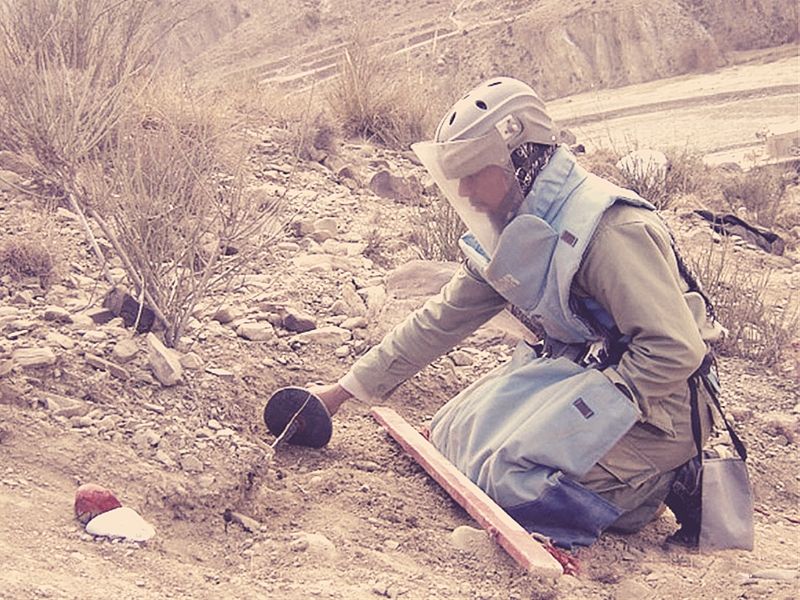 Over the past two decades, the United Nations Mine Action Service (UNMAS) has been consistently working towards the needs of all the affected people and those who face explosive hazards. Fourteen United Nations agencies, departments and funds provide mine action services in dozens of countries. Mine action includes finding and destroying landmines and explosive remnants of war, destroying stockpiled landmines, assisting victims, teaching people how to remain safe in a mine-affected environment, advocating for universal participation in international treaties. UNMAS also works to save lives, enables humanitarian and recovery activities and advocates for international humanitarian and human rights law.